Nottingham Trent University is to invest £10.3 million to establish further facilities devoted to science, technology, engineering and mathematics (STEM) disciplines. This latest investment will enable us to further innovate in our curricula delivery, in partnership with business and industry. The centre, which is being established at the University's Clifton campus, will involve a new build and refurbishment of existing facilities and is expected to be completed during the 2016-17 academic year. The announcement comes as it was confirmed that the University would receive £5 million – the maximum bid for any university – as part of the Higher Education Funding Council for England's (HEFCE) STEM teaching capital funding. The University will provide the remainder of the project cost. The government funding is intended to ensure that universities respond to the increase in demand for STEM studies, by developing facilities that will support an increased flow of highly employable graduates into industry. As well as enabling students to work across the range of STEM subjects, ISTEC will allow them to engage in more technical, teamworking and industry-relevant activities, helping to increase their skills and knowledge for industry. The plan is to also create a seamless transition between university learning and employment, improving students' employability and further enhancing industry-university collaborations. ISTEC will also offer bespoke outreach facilities for science engagement, such as an inspiring showcase of students' project work. 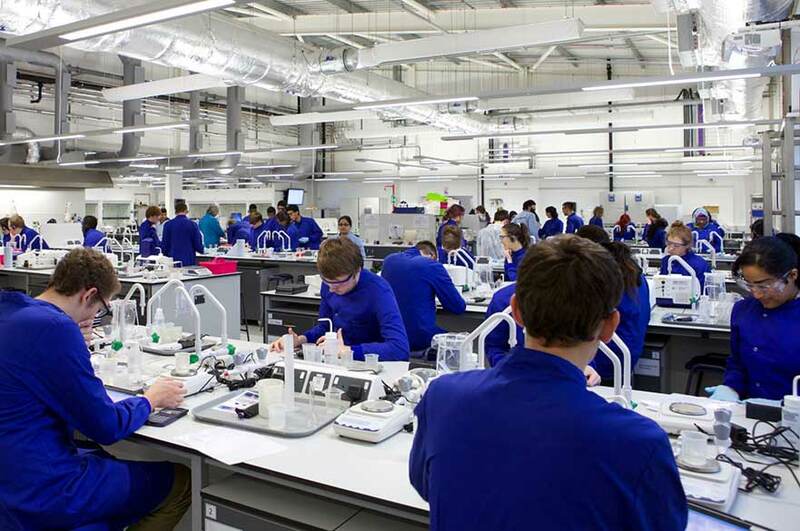 Nottingham Trent University Pro Vice-Chancellor, Professor Yvonne Barnett, said: "The investment from HEFCE is in recognition of the growth in number over recent years of students studying our high-quality and industry-relevant science and technology undergraduate and postgraduate courses. "This latest investment will enable us to further innovate in our curricula delivery, in partnership with business and industry, and to provide study opportunities for more students to enhance their skills and experience for employability." Vince Cable, Secretary of State for the Department for Business, Innovation and Skills, said: "Inspiring young people to take up STEM courses is vital to the success of the UK economy. This investment will mean world-class teaching facilities to build tomorrow's skilled workforce." Madeleine Atkins, Chief Executive of HEFCE, said: "This funding is badly needed by universities and colleges to meet the increased interest in science and engineering. It will also ensure that students benefit from state-of-the-art equipment and laboratories, and are thereby equipped for the workplace of the 21st Century. "I am particularly pleased to see successful projects across all parts of the country, and the degree to which institutions are focusing their investment to support their local economies and key industry partners." HEFCE is investing £200 million, shared between 73 universities and colleges, towards STEM teaching capital projects during 2015-16.